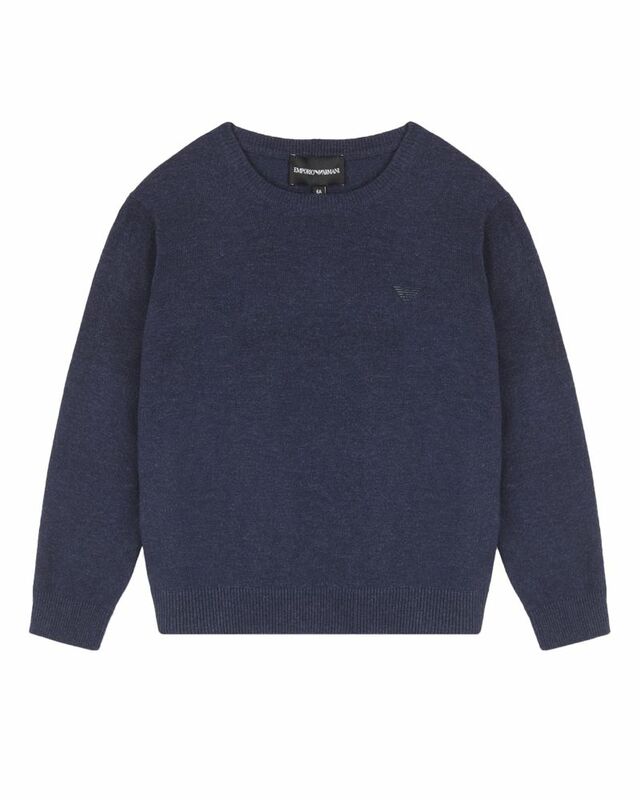 Emporio Armani soft knit navy crew neck sweater with logo detailing on chest. 78% Viscose, 22% Polyamide. Imported.